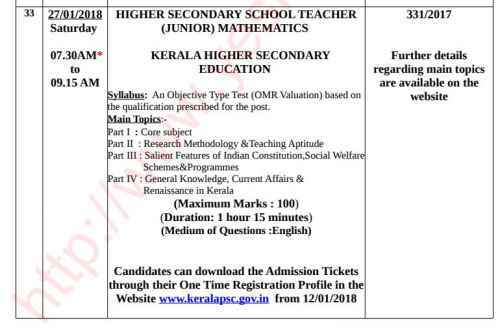 The exams for the post of Higher Secondary School Teacher in Kerala will be conducted by PSC in early 2018. The examination for the subjects Economics, Mathematics, Malayalam, Geography and Politics will be conducted in January 2018. The examination for the other subjects will be conducted in February 2018. Interview for the post of Higher Secondary School Teacher will be conducted in March or April 2018. 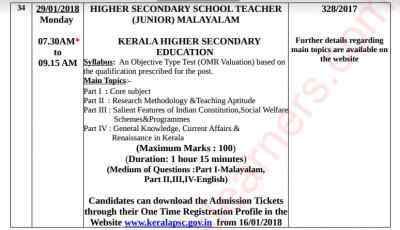 Kerala PSC will publish the result for the post Higher Secondary School Teacher in May or June 2018. 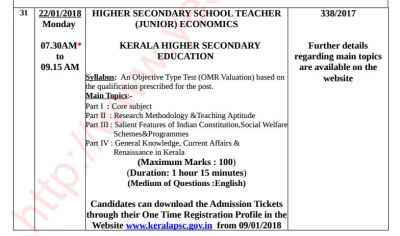 HSST Economics, Mathematics and Malayalam are conducted in January 2018. Hall Tickets can be downloaded from early January. 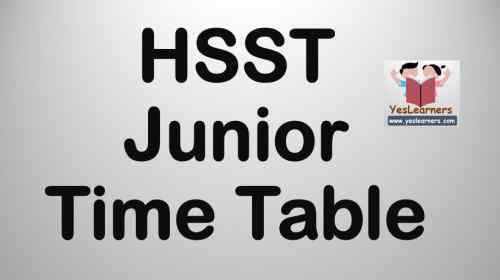 The time table of HSST Junior is as follows. The Candidates who applied for this post visit regularly this page for further updates.